Way back in July I got a very exciting email informing me that I had been chosen as a blogger to work with Fantastic Ribbons, a great online supplier of ribbons and buttons (and washi tape!) I will be trying out and reviewing their products and of course, showing you what I've made. 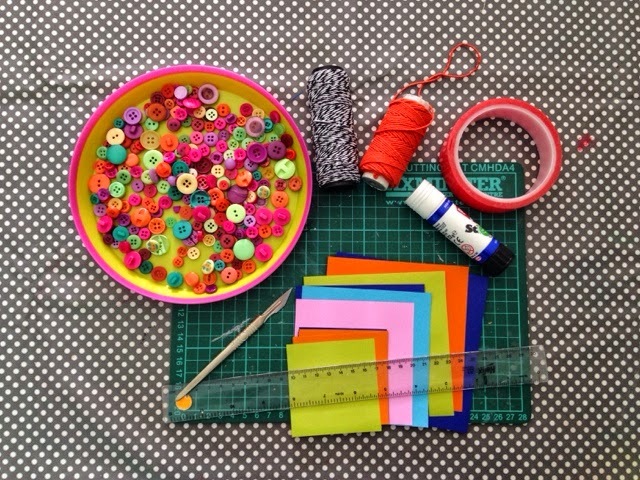 For my first project I chose a packet of the 'Candy' button selections because I couldn't resist the gorgeous colours. 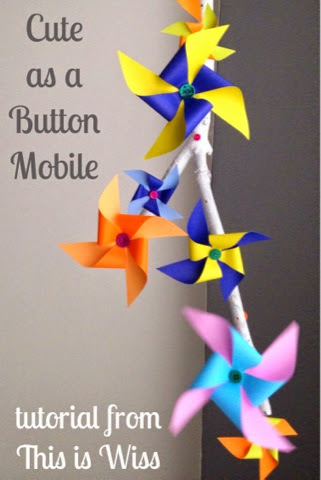 Wiss and I wanted to make a decoration for the new addition to our family so I devised the 'Cute as a Button' Mobile! As our baby would be looking up at this mobile I wanted it to look best from that view. Many mobiles you can buy look great from our perspective but can be dull from underneath. 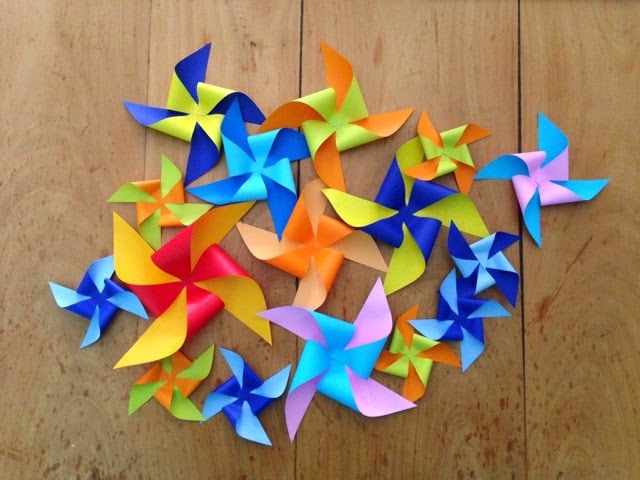 I love origami, especially folded birds but I thought windmills would move beautifully in the breeze and catch baby's attention. Plus they are easier to make with a 4 year old! 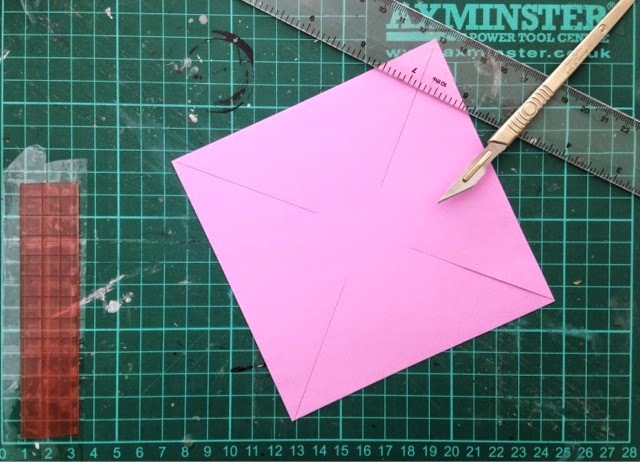 To make the windmills you need to cut from each corner diagonally in towards the centre, but not all the way. I cut approximately 2/3 of the way, leaving the centre uncut. 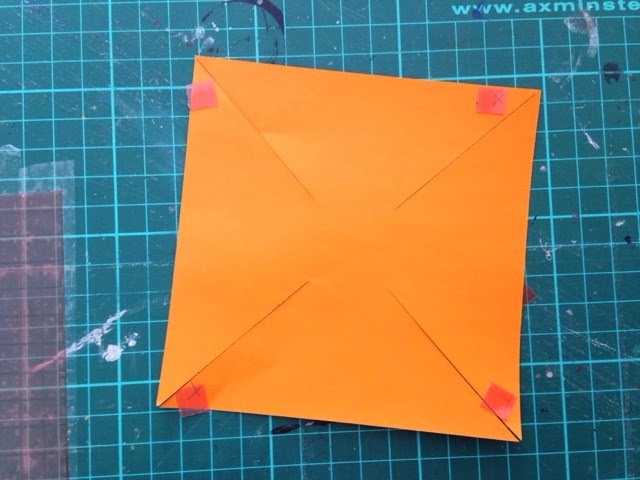 Using glue we stuck a button into the centre of each windmill. Not only does this give them a nice finishing touch but the button helps to weigh the windmills down and hang straight. Next you need something to hang your windmills from. We went looking for a large stick on a walk in the woods but you could use bamboo canes, dowelling or even coat hangers if you prefer. 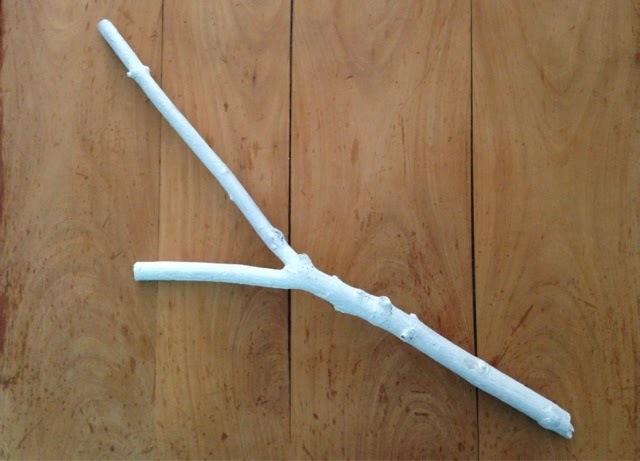 We scrubbed our stick and let it dry before giving it a coat of white acrylic paint. Now to hang your windmills! 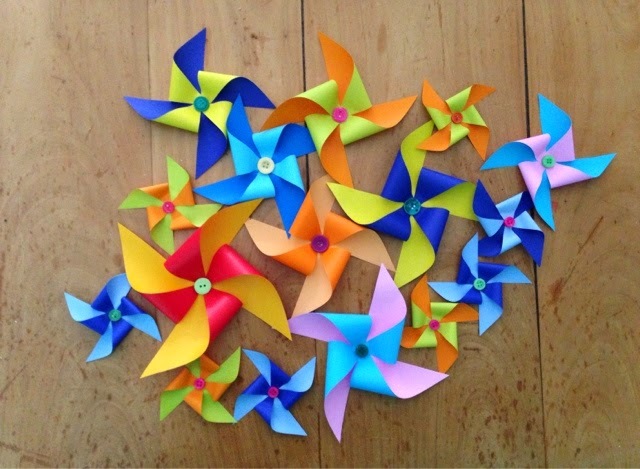 Make sure you hang them at various heights and spacing so they can spin freely in the breeze. I drilled holes in the stick so I could thread the windmills on cotton through them and then secured them all by finishing off with another button at the top. This looks cool but will also prevents the windmill from falling. I hung the mobile using more thread and some invisible hooks. It looks lovely in our bay window but from underneath, the baby's perspective, it looks fantastic! Baby Ferne is captivated by it! I hope you have been inspired and if you do make a 'Cute as a Button' mobile then please share a photo with me, either on here or on twitter @thisiswiss. And don't forget to check out the Fantastic Ribbons website for your supplies. Happy making!